CHROMiX at the PIA Color Management Conference in Phoenix Dec. 5th-7th. Considered the most "color management" focused conference in North America, CHROMiX had a dual presence at the recent PIA conference. Steve Upton spoke at several events, highlighting ColorThink Pro, Curve2 + VPR, Maxwell and more. Pat Herold and Rick Hatmaker demonstrated CHROMiX software including the new Maxwell MeasureWatch service by offering a free instrument "Health Check" for anyone who brought their spectrophotometer by the booth. We used the new COLORef target and loaded the data into Maxwell for an instrument accuracy check. We saw many X-Rite i1Pros, a few Techkon Spectro Dens, a couple of X-Rite 500 series and a couple of X-Rite DTP-70s (although we weren't able to measure the COLORef target with the 70s). Each individual received a Pass/Fail type of label and will also receive a group summary report comparing their instrument to the groups performance. We are publishing the final results for participants, and then will provide this publicly or by request. And speaking of MeasureWatch... announcing MeasureWatch! Curve 2 awarded 'IDEAlliance G7 Certified System' status! At the recent PIA Color Management Conference in Phoenix, Curve2 was awarded the new IDEAlliance G7 Certified System status. "The G7 System Certification Program is designed to evaluate the ability of a candidate system to calibrate a printing device to meet the G7 gray scale definition using four 1-D Curves." noted Joe Fazzi, VP of Media Production Technologies and Training with IDEAlliance. 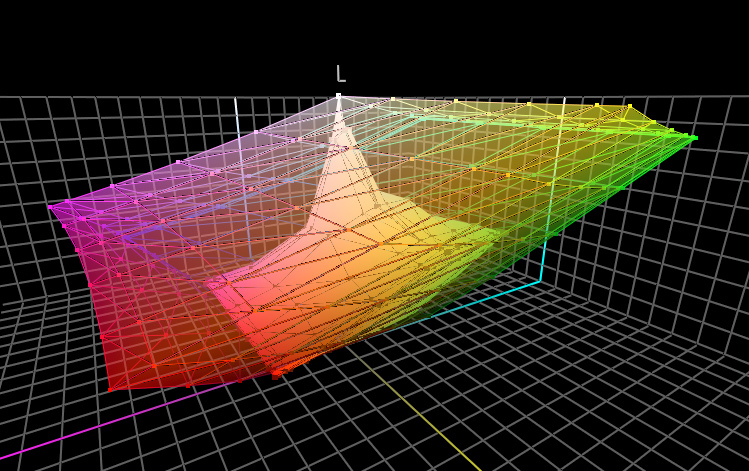 CHROMiX and HutchColor co-developed IDEALink Curve and its successor, Curve2. Congratulations... Don and Steve! Curve 2.1 (and VPR) shipping! Esko ArtWorks PressSync curves are built into v2.1. A new gray balance option that can be used to smooth curves with dramatic spikes. Ability to export curves as single-channel files with control point / value pairs for some RIPs. Virtual Press Run is a Curve2 add-on module to eliminate the 2nd G7 press run. OneRun targets (hybrid targets containing multiple targets) are now supported. The current target supported is for P2P25x & IT8.7-4. We'll be adding more targets in the future and by request. Curve2.1 now allows scrambled P2P25x targets. March 8th - 10th, 2011 - ATC Global 2011 Exhibition and Conference - RAI Amsterdam, The Netherlands. March 22nd - 24th, 2011 - The Publishing Xchange Conference and ON DEMAND 2011 Exposition and Conference - will be help simultaneously this year at the Walter E. Washington Convention Center, Washington DC. Hosted by Questex Media. The conference is aimed at publishers, marketers, printers and digital service providers. September 11th - 14th, 2011 - Graph Expo 2011 - McCormick Place South, Chicago, IL. November 10th - 12th, 2011 - Graphics Canada, Toronto, ON. Luscious video: This is a lot of fun to watch (from a color management geek's point of view). Do you know any printers that have been through this? OffRegister - Luscious! How Well Is Your Business Positioned for the Future? : Its a new year and we're all trying to find ways to focus on business. This short article from WhatTheyThink's Bob Lieber is succinct and to the point: How well positioned are you? Among the many interesting projects to come through the offices of CHROMiX in recent years has been the testing, analysis and comparison between different brands and models of digital projectors. We've tested and reviewed over two dozen different models and have learned quite a bit about color on a projector. Now don't go emailing us to give you a recommendation - we are under a non-disclosure agreement for most of this information - but I can give you a few things to look for. This article will cover the basics of how to get a decent profile of a projector using any of the common display profiling packages. It is possible to get a more accurate profile by using a more advanced system designed for the video world, but that is beyond the scope of this article. With true DLP projectors, you can see a "rainbow effect" when images move across the screen rapidly. You can observe this just waving your hand across the screen. Several software packages allow you to calibrate a projector. The ColorMunki Photo and Design are relatively affordable and easy to use. The i1Beamer is a module that is available for the i1Pro spectrophotometer. By itself, it would be a rather expensive solution, but if you already have the i1Pro device, it is not much to add the Beamer upgrade. Before the Munki came along, it was about the only way to profile a projector. Some monitor profiling software packages like the Spyder 3 Elite have a procedure for using a colorimeter to measure color off of a projected screen. ColorEyes Display Pro provides a checkbox that allows the measurement window to expand to full screen, making a bigger target to aim your colorimeter to. There's no real procedure for how to do this though - and you're on your own for figuring out how to arrange your instrument to pick up the color off your screen. Still, we've had customers use colorimeters effectively to profile projectors. Before profiling, allow the projector to warm up for at least 10 minutes. Ideally you will do your profiling on the same screen as you'll be using for presenting, since the screen color is a part of the overall color of the system. While it's warming up, check to see if your projector has preset "color" modes in the setup menus. Common names for these are "Presentation," "Theater" or "PC". The "Movie", "Theater", "Cinema" or "Film" mode will give you the maximum color saturation (maximum gamut), while settings like "PC", "Gaming", or "sRGB" will tend to give you less saturation, but oftentimes be brighter. With some technologies, like DLP projectors, this trade-off can be quite extreme: The highest-gamut Movie setting will project a rather dark image, while the 'bright' settings will be washed out - devoid of saturation in the colors. By our calculations, the gamut volume of the projector can drop by as much as 70% depending on these settings. If you are reading CHROMiX ColorNews, and wanting to calibrate a projector, my guess is that color is a big part of your life or work and you will want to use one of these "movie" modes to get a good range of colors on the screen. Use that setting as you profile the projector. For an illustration of the gamut volume of two projectors, follow this link The inner gamut is a DLP projector and the much larger outer gamut is a 3 LCD projector. It's such a huge difference that it's a bit hard to believe. In the profiling software, choose similar parameters you would choose when making a good monitor profile. For example, choose a white point of D65 (or 6500K), gamma of 2.2. The actual white point chosen might not be that important. (More on this later.) Set the brightness aim to maximum. The Spyder 3 and the i1Pro Beamer has a tabletop stand that adjusts so you can aim the measurement head toward the screen. The ColorMunki will set directly on a table top. You align it so that it is pointed at the screen, and adjust the measurement head up and down so that it is aimed at the center of the screen. If you are using a colorimeter that does not have a stand, you will need a way to hold the colorimeter fairly close to the screen and point the sensor toward the screen so that the sensor can pick up the colors off of the screen. At the same time, you usually don't want a shadow to be in the field of view of the sensor unless the software calls for that. If you are using the i1Pro Beamer, and have a glass bead screen, you might find your aiming circle bouncing around the screen, making it hard to know where to aim. You can solve this by putting the lens slightly out of focus while calibrating. Run through the rest of the profiling procedure as usual and create the profile. The resulting profile can be put in place in your system as your "monitor" profile when you are outputting to the projector through a computer. Mac computers will assign an individual profile for each display that is connected. Windows systems will usually be limited to only one profile being used at a time - even though you have two or more displays connected. Make sure the projector profile you created is actually the one being used. You can experiment by substituting one of our stunt profiles and see if there's a difference. With Windows, after changing profiles, you will need to restart the computer or run a LUT loader program to actually load the profile information into the graphics card so you can see it. When profiling monitors, we pay close attention to the ambient lighting situation in the room surrounding the display. Ambient lighting illuminating other colors in your field of vision will have an effect on your perception of colors on the monitor. Also, room lighting is critical for people trying to match their display to what they see coming off their printer in the same room. However, with projectors, this is a horse of a different color. If we are making any effort at all to optimize the viewing experience, we are going to turn off all the lights so that the room is as dark as possible. In this case, there is no "ambient" light to speak of - besides that which is produced by the projector itself. Because of adaptation - our eyes' natural ability to adapt to whatever light source we're looking at - our eyes will do a remarkable job of adjusting to whatever white point the projector is throwing up there. So whatever white you choose will look normal after awhile. At least in comparing colors - "it's all relative" to the white point. However, profiling is still very important; it makes possible the scaling of all the colors to the white and black points. If you profile your projector on a specific screen using a DVI signal, you can then copy that profile and use it on every laptop or computer that will be used to run that projector and screen. The profile will remain valid and produce identical color on different video cards, even on different operating systems. You need to use a DVI cable (Digital Visual Interface - usually a video cable with white ends) and ports for this rather than an analog cable (blue ends) and ports, since the analog signal is more likely to be colored by signals from the computer's video card. So how does it look? Don't forget that if the screen is different than before - that does not necessarily mean it is bad. It might take a while for your eyes to get used to the new look. If you are used to the projector blasting out such high contrast that highlights are blown out and shadows are lost in the murky darkness, then a well-profiled projector might look rather "flat" to your eyes to begin with. Give it some time. FEEDBACK and FAQs - ColorNews (this publication) has its own forum on ColorForums.com=2E Each issue of this newsletter tends to prompt responses from our readers and we often don't have enough time to respond to everyone (sorry!). So we created a discussion area on ColorForums.com so anyone can ask questions, make suggestions, take issue with our prognostications or whatever. Come on by and have a chat! Entire Contents of CHROMiX ColorNews (c)2011 CHROMiX, Inc. CHROMiX, Maxwell, ColorThink, ColorNews, ColorSmarts, ColorGear, ColorForums, DisplayWatch and ProfileCentral.com are trademarks of CHROMiX Inc. All other trademarks are property of their respective owners. CHROMiX ColorNews is intended as an informative update to CHROMiX customers and business associates. We are not responsible for errors or omissions. You may not copy or reuse any content from this newsletter without written permission from CHROMiX, Inc.